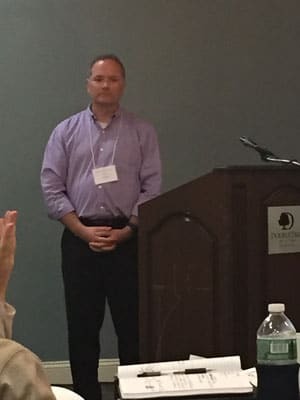 Stafford Communications Senior Account Manager Tony Yauch was one of the featured speakers at the recent Society of Consumer Affairs Professionals (SOCAP) New York/Philadelphia chapter event in Princeton, New Jersey. The “Creating Engagement Everyday” workshop featured ways of equipping customer service executives with the knowledge, skills and strategies needed to drive effective team engagement. Tony joined featured speaker Brandon Rigoni, Ph.D., Associate Director of Talent-Based Hiring & Development at Gallup, and shared insights on Stafford Communications’ successful call center team building methodologies.